Pembrokeshire is such a fabulous place to go on holiday with children. There are so many fantastic clean and safe beaches to play on, where they can also go rockpooling and play in the surf. 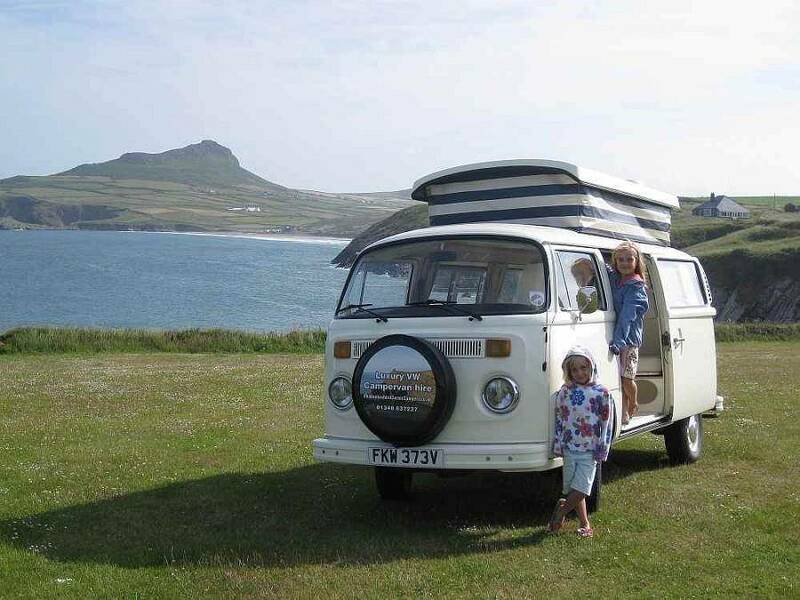 Pembrokeshire Coast National Park put on many activities which are great for children. Best beaches in Pembrokeshire - there are numerous, but you'll find a beach for all tastes here on the coast. One of the best beaches for surfing include Whitesands Beach - superb surfing conditions. It is also great for children and families as the sand is clean, there are rockpools and there is a cafe and toilets. Other popular beaches on the Pembrokeshire coast for watersports (including surfing, windsurfing and coasteering) are Tenby Harbour and North Beach, Broad Haven and Newgale situated in St Brides Bay and Dale near the St Anns Head tip. If you want peace, quiet and solitude then the Pembrokeshire coast offers this too in beaches at Traeth Llyfyn situated on the north west coast between Abereiddi and Porthgain. Other tranquil Pembrokeshire beaches include Swanlake near Manorbier, Abermawr near Fishguard and Marloes Sands with it's views of Skomer Island. Sheltered, calm family beach waters are perfect at Caerfai Bay and Nolton Haven. Active families looking for rock pools, caves, dunes and coastline castles should head to Broad Haven South, Manorbier and Cwm yr Eglwys. 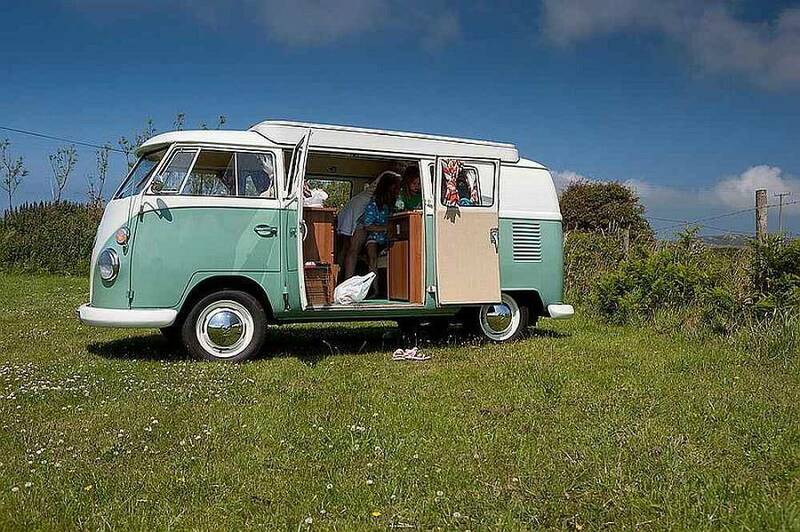 Hire "Lily", our luxury original VW split screen campervan, or "Daisy", our classic VW bay window Camper, and you can explore the beautiful coastline and countryside of Pembrokeshire in Wales. 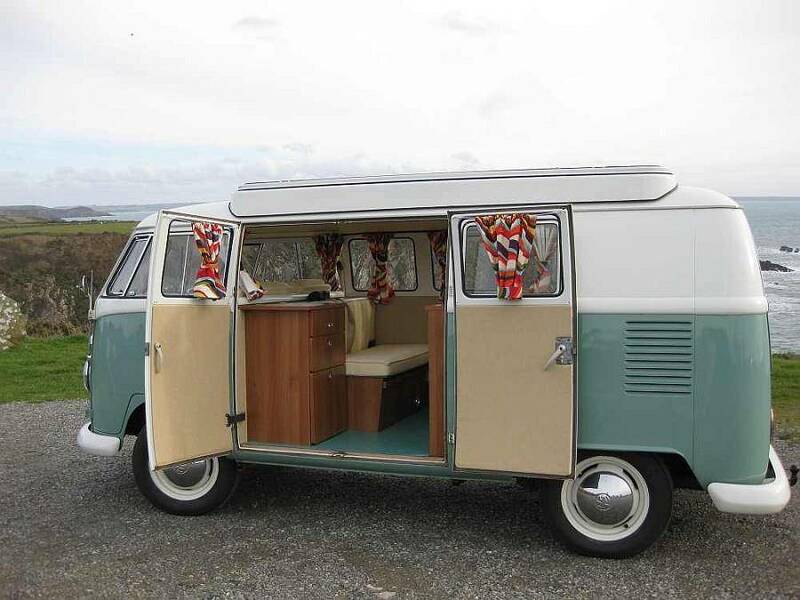 By hiring our luxury VW campervan you can enjoy the freedom and lifestyle (and a roof over your head when it rains!). 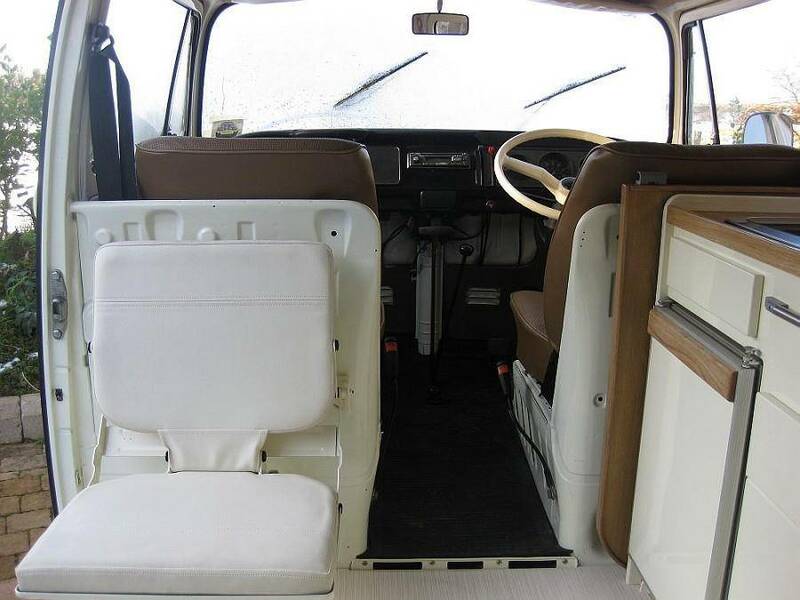 Our VW campervans are classic original VW campervans which have been lovingly refurbished and renovated. You will enjoy admiring glances as you drive along the Pembrokeshire lanes. 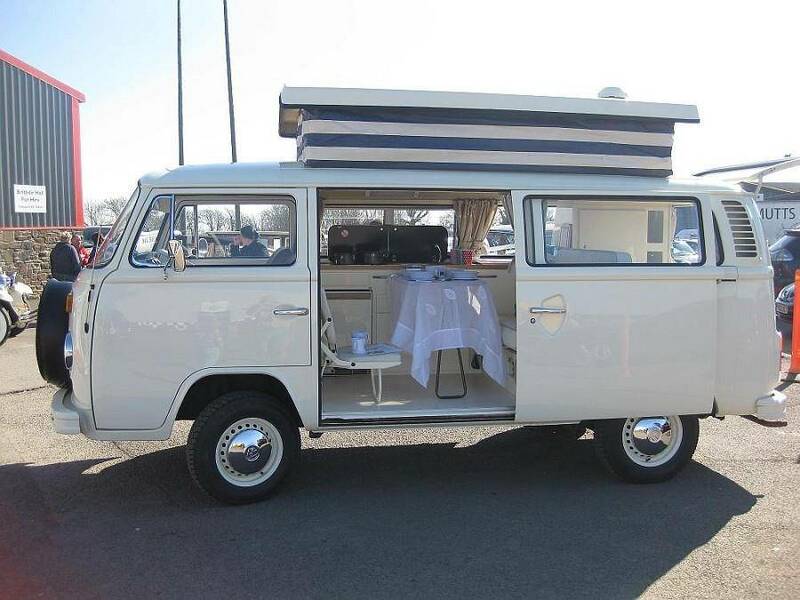 Both VW campervans are ideal for both family holidays and for couples. 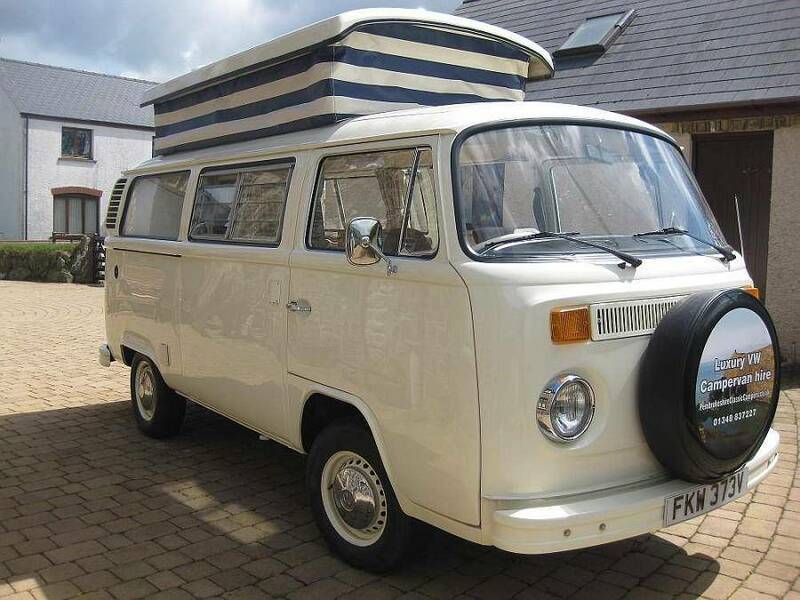 Daisy, our VW bay window campervan sleeps two in the full length double bed and 2 children in the top bunk. 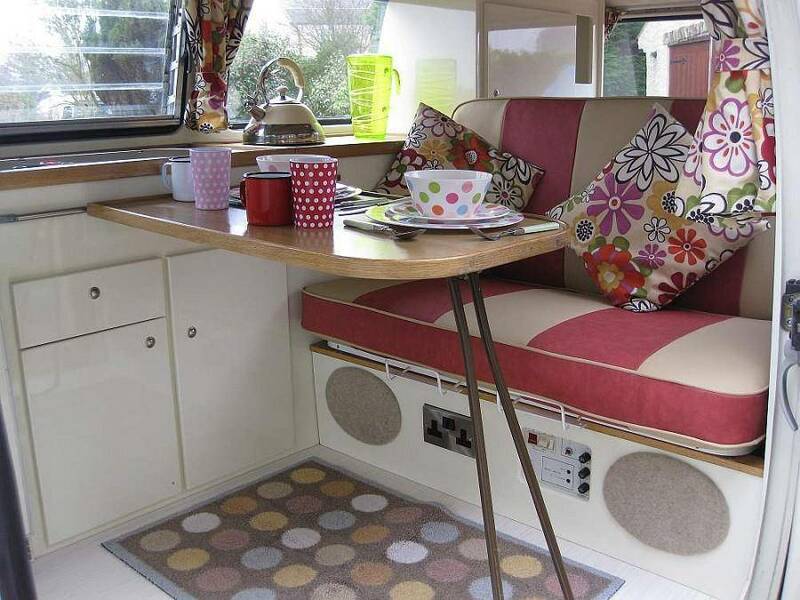 Daisy also comes with a driveaway awning with an interior bedroom. This is more suitable for taller, older children. 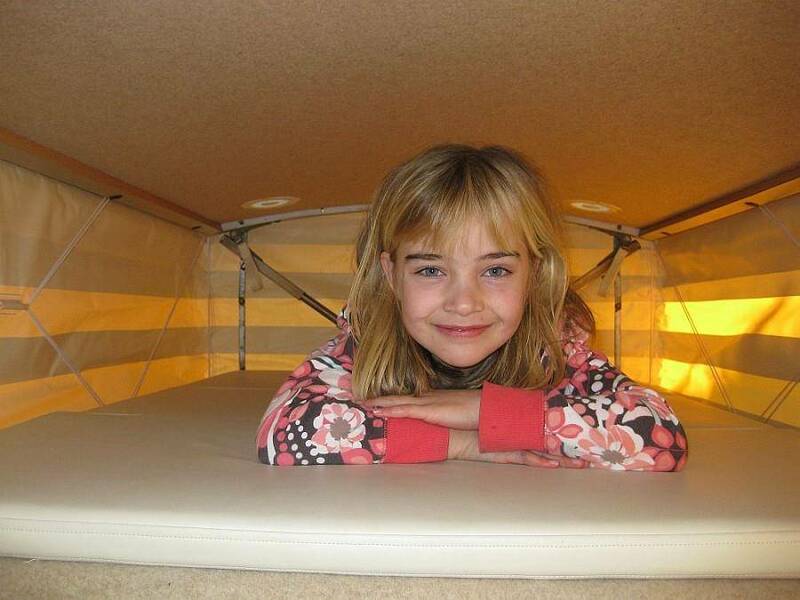 Lily, our VW split screen camper van sleeps 2 in the double bed, plus a child on the back bed. A fourth child can sleep in the front. 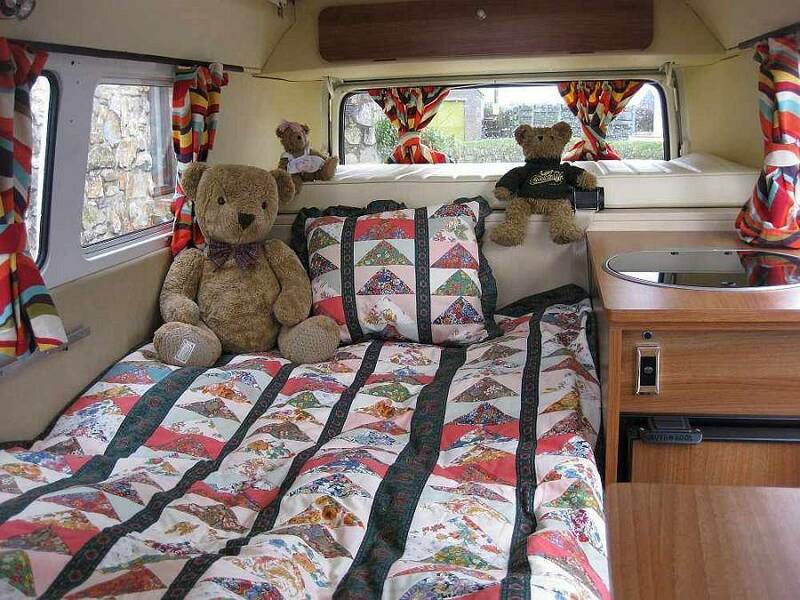 Lily also comes with a driveaway awning with an interior bedroom. This is more suitable for taller, older children.